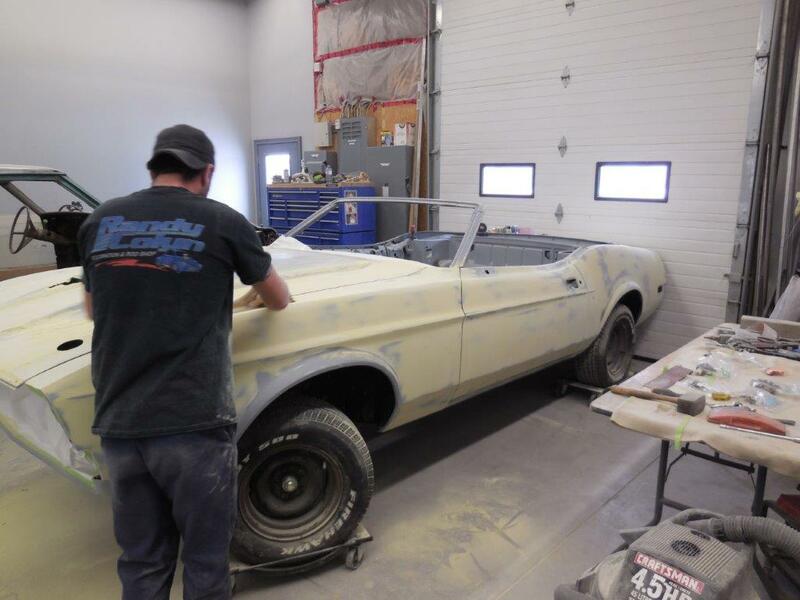 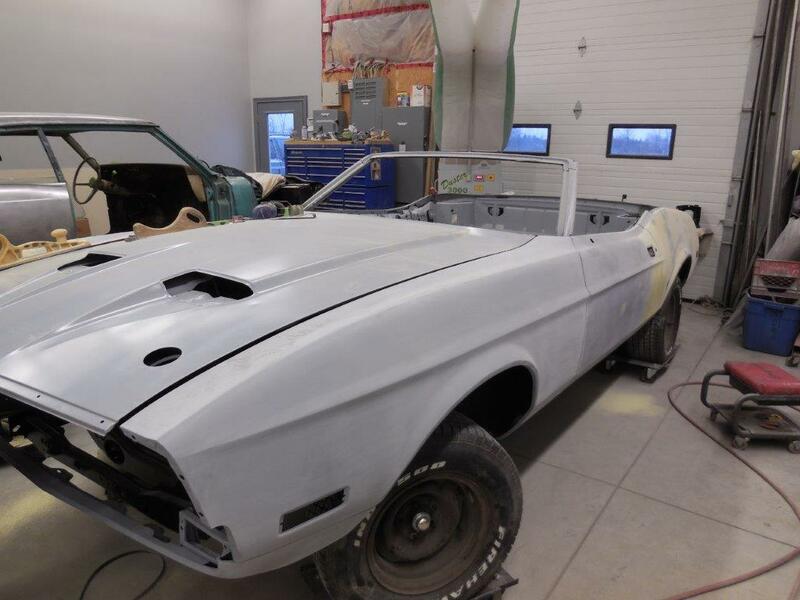 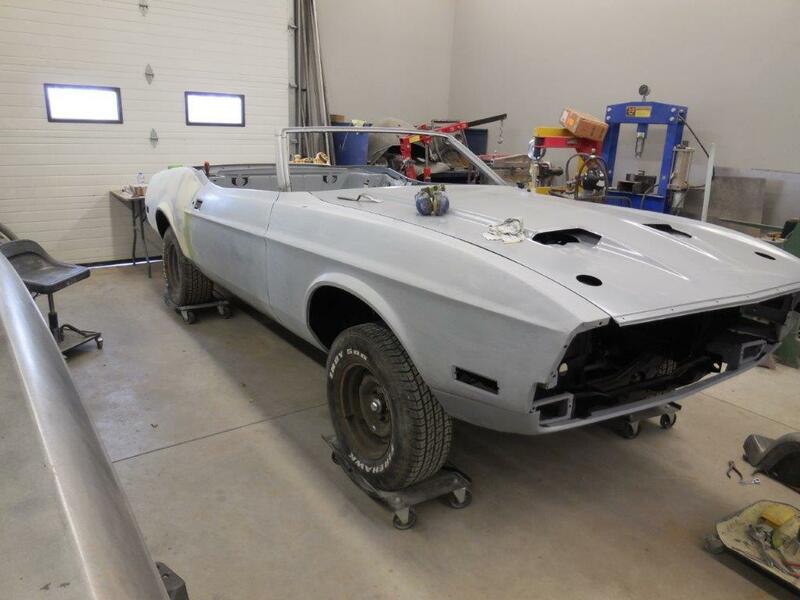 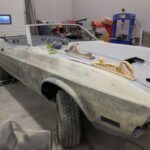 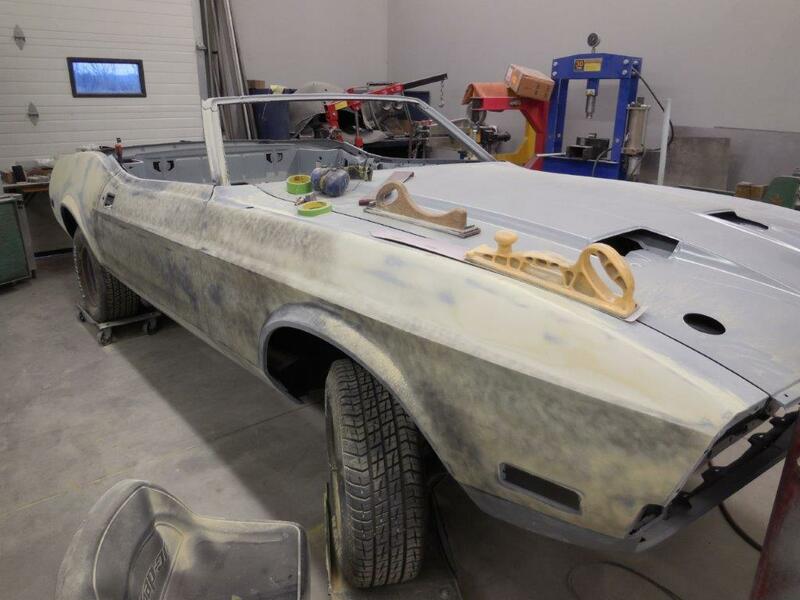 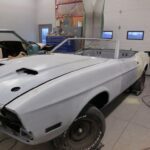 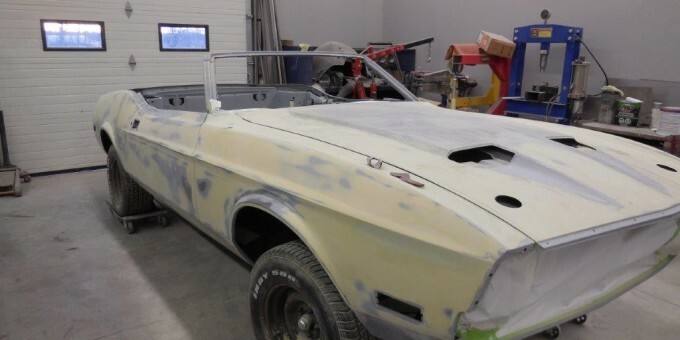 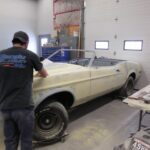 We have the 71 Ford Mustang convertible back on its wheels. 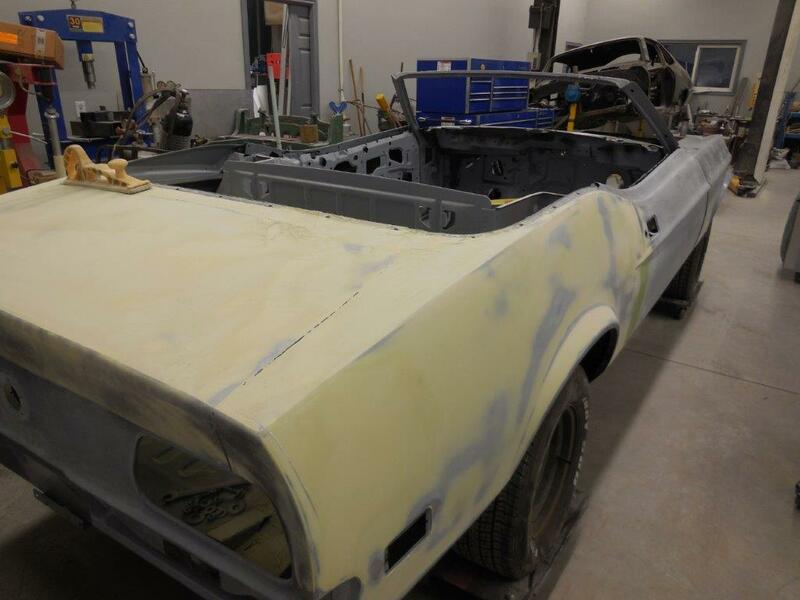 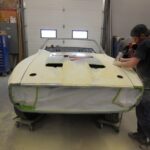 The body panels are all lined up and we are doing the body work. 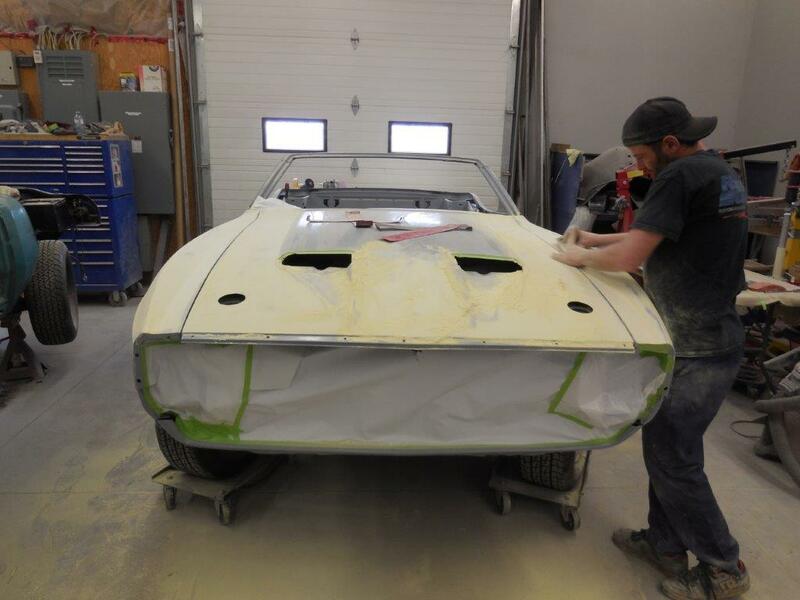 When doing the body work the car must be on its wheels in order to get the gaps right. 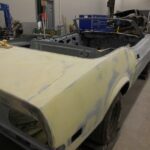 We never do any structural welding or body work on a rotisserie.